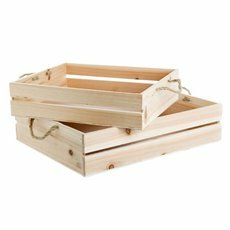 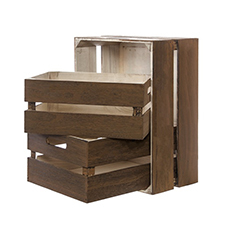 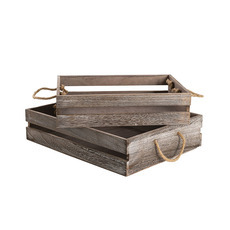 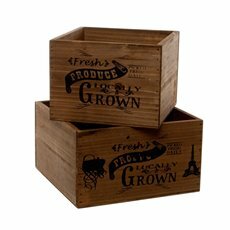 Bring a hip and rustic look into your home with the Koch & Co extensive range of wooden planters, wooden boxes and crates including the sought-after Woodcraft® Woodware collection. 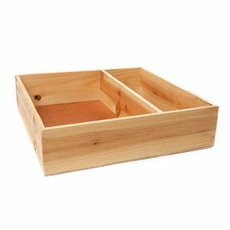 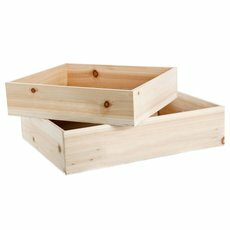 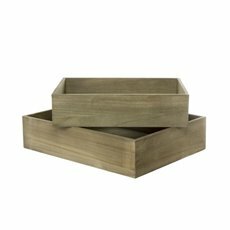 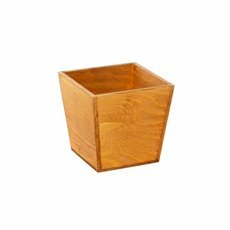 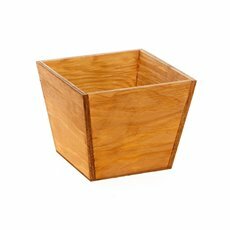 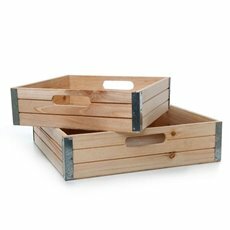 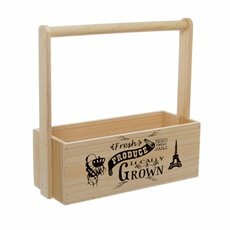 Wood is a highly popular, durable and functional material used to make a wide variety of attractive planters, boxes, display and packaging items. 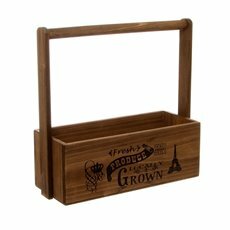 They have many uses, including a fun way to store or display collectibles, an alternative to using pots for your plants or as decorations by themselves. 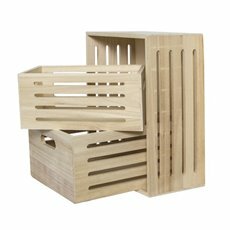 Our Woodcraft® Woodware features natural, painted, stained and washed finishes to deliver an exciting range of products. 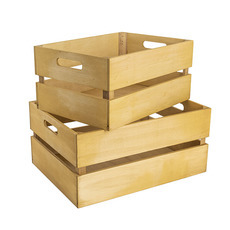 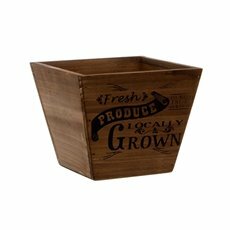 Whether it’s for use indoors or outdoors, you’re sure to find the perfect decoration for your home or business among our beautiful assortment of wooden planters, boxes and crates. 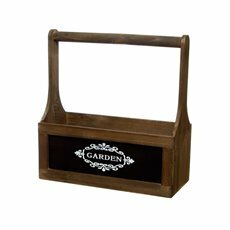 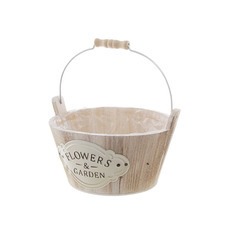 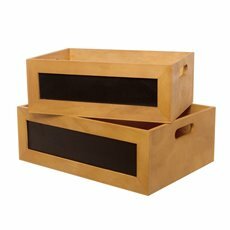 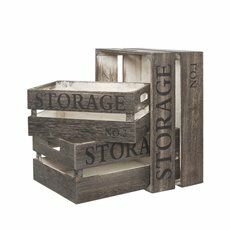 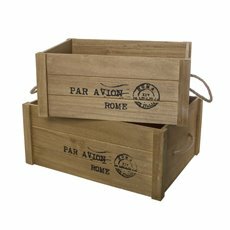 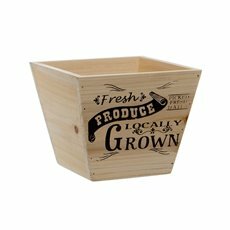 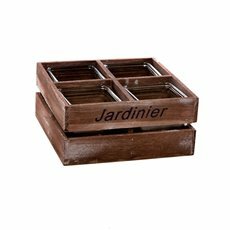 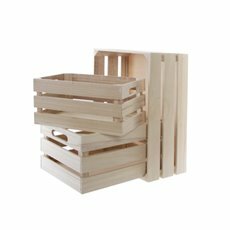 The variety is huge and includes wooden wine boxes, wooden trays, chalkboard planters and totes, fence planters, round planters and much more. 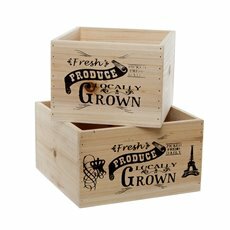 There are many different sizes, shapes and styles available. 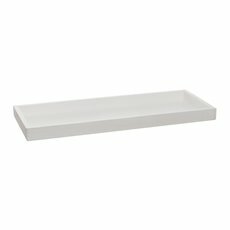 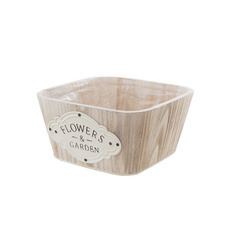 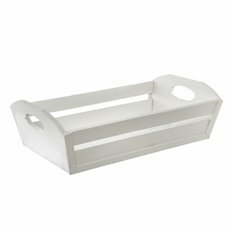 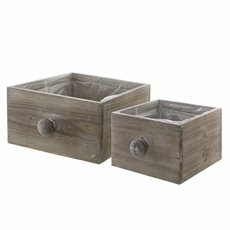 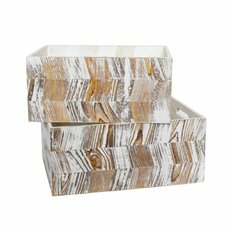 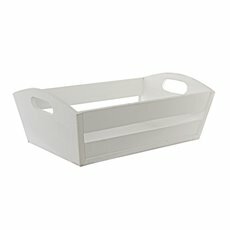 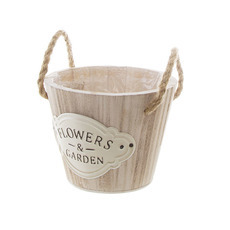 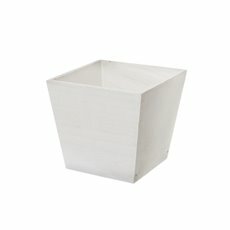 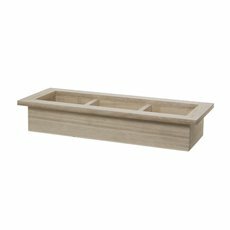 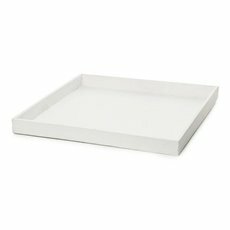 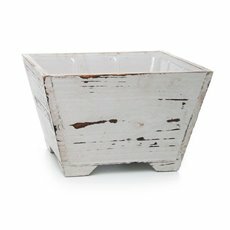 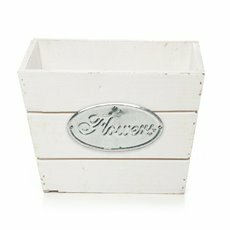 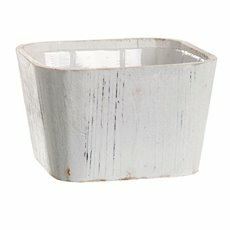 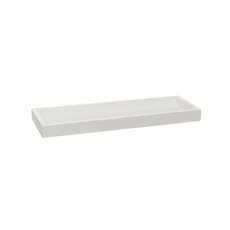 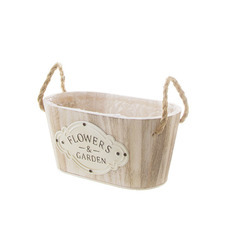 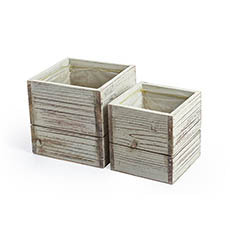 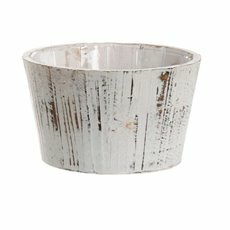 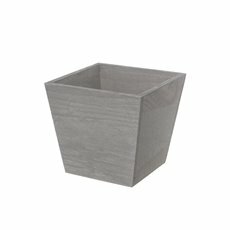 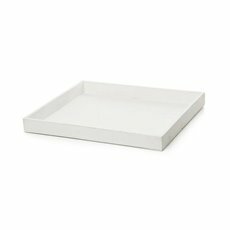 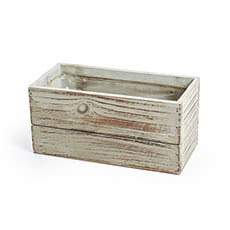 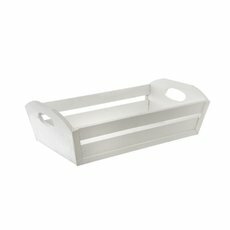 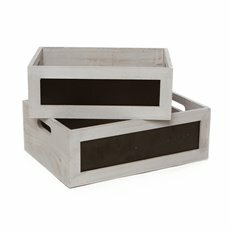 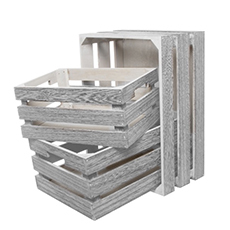 As well as natural wood tones and colours, some of our wooden planters and boxes are available in whitewashed finishes.